Note: This is the third part of the Slope Concept Series. 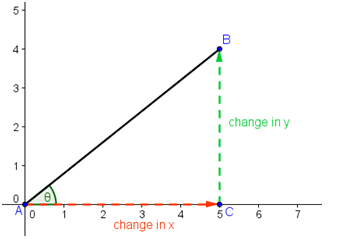 In the Understanding the Basic Concepts of Slope post, we have discussed that the slope of a line in the coordinate plane is described as the change in y over the change in x. 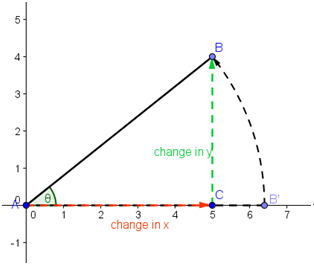 When we say change in x, or change in y, we talk about the ‘change distance.’ To determine a distance we need two points. 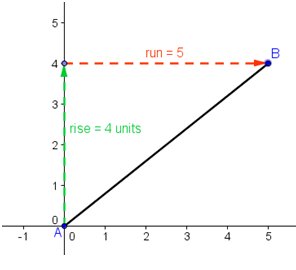 If we are in the coordinate plane, and we have two points with coordinates and , then the rise is and the run is . Thus, the slope of the line containing the two points is . Fiigure 1 - Slope of a line containing points with coordinates (x1,y1) and (x2,y2). We also have discussed that the slope of a horizontal line is 0 by rotation. Here, we will show the same fact using coordinates as shown. A horizontal line has the same y-coordinates everywhere. 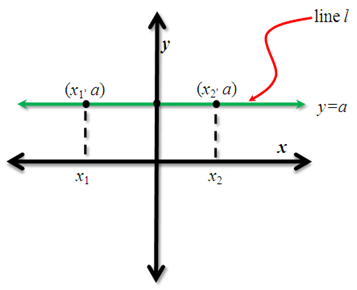 Let us consider line l in Figure 2 with equation . Let us pick two points with coordinates and . Using the formula above, calculating for the slope we have . Hence, the slope of a horizontal line l is . 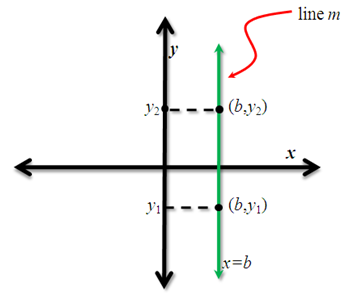 Figure 2 - A horizontal line containing points with coordinates (x_1,a) and (x_2,a).. Similarly, a vertical line has the same x-coordinate everywhere. Let us consider line m in Figure 3 with equation . Let us pick two points with coordinates and . Using the formula above, calculating the slope, we have which is undefined. 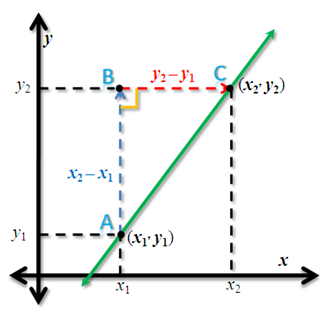 Figure 3 - A horizontal line containing points with coordinates (b,y2) and (b,y1). In the sequel of this post, we will discuss the lines with positive and negative slopes.